Your destiny is not an event, it is your whole life! Discovering and fulfilling your destiny in God involves being confident in who you are in Christ. As you grow in your knowledge of Him, your assignment becomes clearer. You begin to walk in and enjoy the provisions of the covenant we have with Jesus. We come into a place where we enjoy everything God has promised, as he give of ourselves. 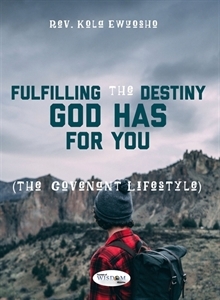 In this powerful message, learn how to discover your assignment and understand the process of becoming - as you fulfil destiny!